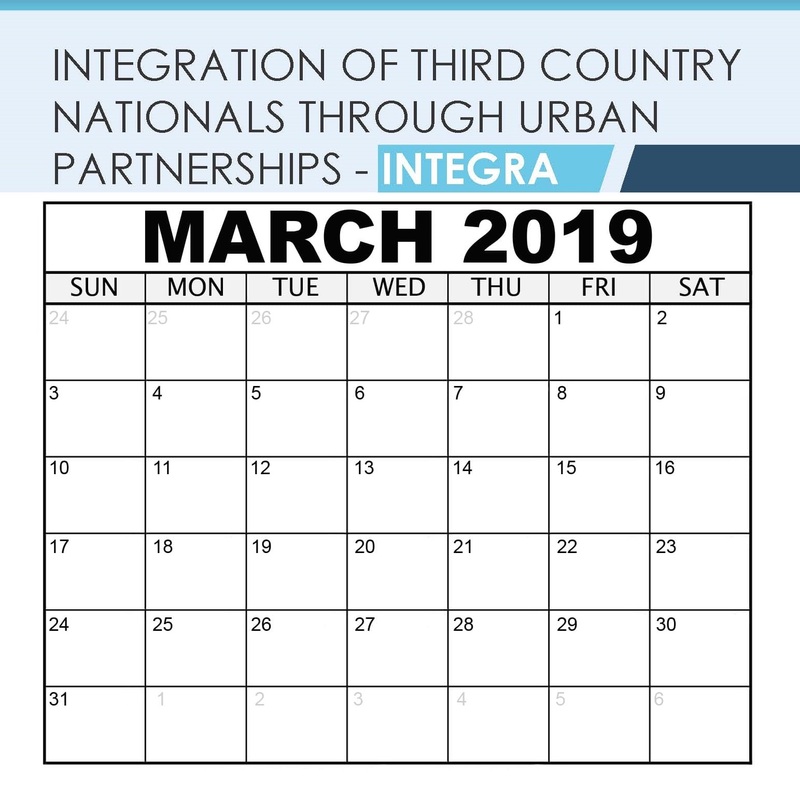 01.03-30.03 - Integration Centre Prague promotes specific infographics from the infographic posters which were created as a part of the INTEGRA project and in doing so, they try to spread awareness regarding relevant facts related to the topic of integration of foreigners in Prague. The Facebook posts which have been published so far have reached 19,347 people and gotten 1,238 engagements, 231 likes and have been shared 52 times. The Instagram posts have reached 2,722 people and gotten 247 likes so far. 06.03.2019 – Sofia Development Association meets with the project team of NEMO: Using the New Media in Education to overcome Migrant Online Discrimination, which is composed of nine other organizations coming from different countries. 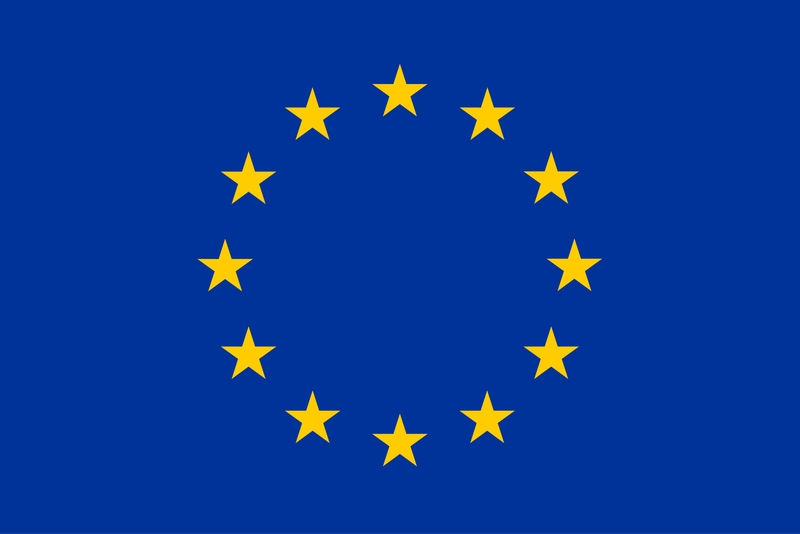 Both projects are co-funded by the European Union’s Asylum, Migration and Integration Fund. SDA leads a joint project session - during NEMO kick-off meeting in Sofia - aiming at sharing and transfer of knowledge and best practices, and local awareness-raising activities to facilitate integration. 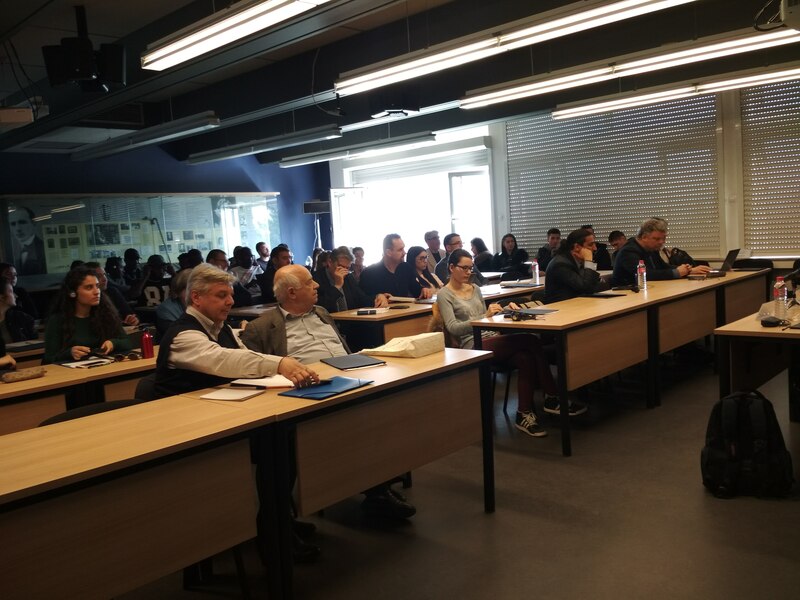 07.03.2019 – Sofia Development Association meets with French MA foreign students who major in European affairs. SDA presents to the young colleagues the major challenges TCN integration and policy measures they advocate for. The French students will contribute to the awareness campaign by using Sofia City Audit report as a basis for their group work to develop legislative proposals for framework improvement. 15.03.2019 – Sofia Development Association and the Stakeholder Integration Group invites media representatives, Sofia Municipality officials, members of migrant organizations, designers and communication experts for a one-day local stakeholder consultation meeting. 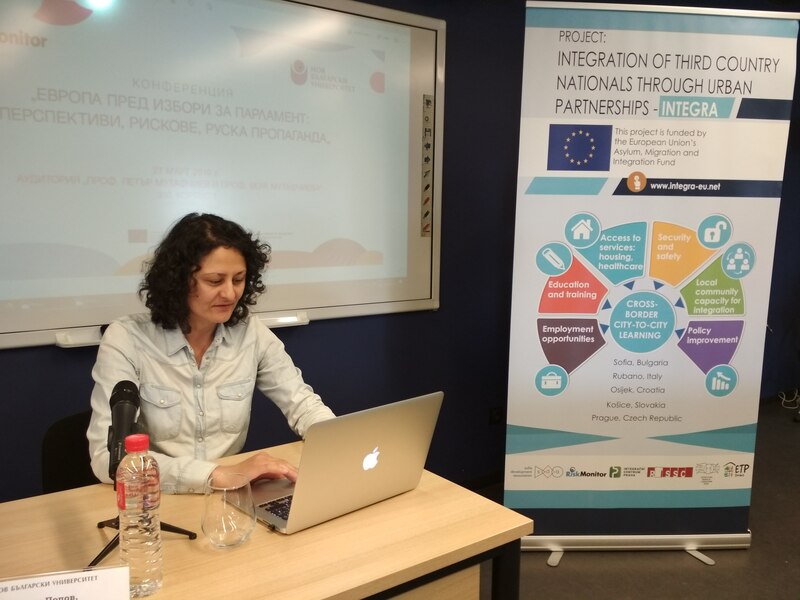 The aim of the meeting is to discuss the information and advocacy INTEGRA campaign - the thematic content of the information materials and creative tools, and the most effective ways of engaging citizens and migrants in the campaign. Thematic creative teams were established to develop several different types of information materials and tools: leaflets, video, online instruments, as well as to identify and test suitable campaign messages. 19.03.2019 – Centre for Peace – Osijek presents online information campaign “Architecture and history”. The organization spreads viral material with suitable photos of architectural structure and description with historic information of old civilizations from immigrants area. 25.03.2019 – Centre for Peace - Osijek launches new campaign tools - different interesting data compared in simple, colorful way. They gave information about facts such as the Independence Day of Syria and Croatia and produced creative viral materials. 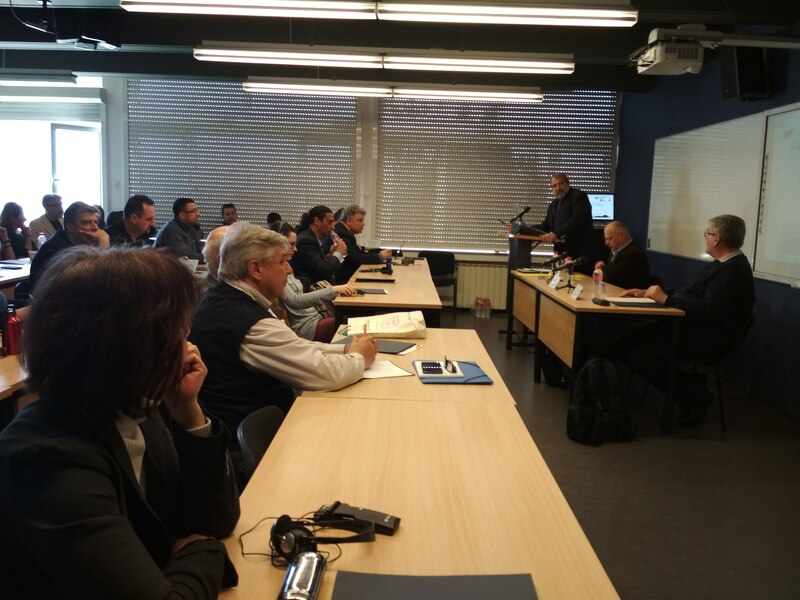 26.03.2019 – Centre for Peace - Osijek conducts a meeting of the Integration Group of Stakeholders. 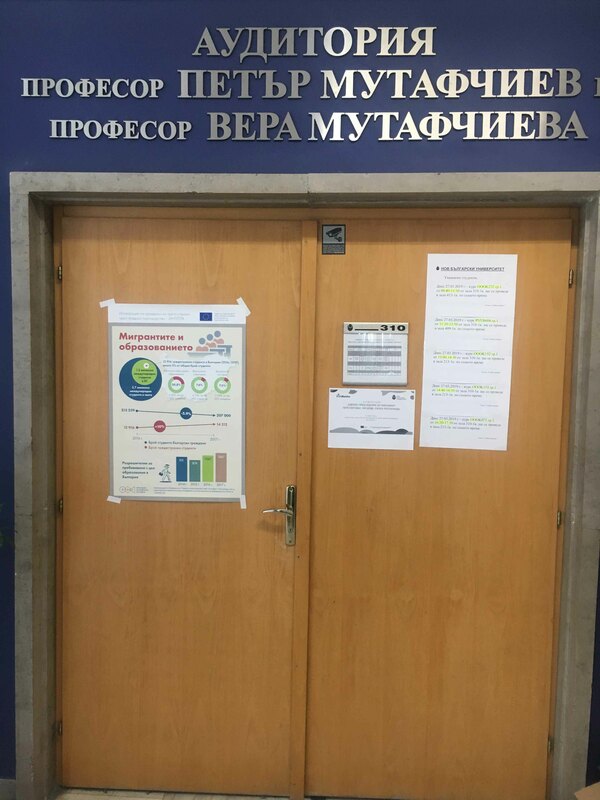 27.03.2019 – RiskMonitor along with New Bulgarian University organizes conference “Europe in the wake of the EP elections: perspectives, risks and Russian propaganda”, which tackles migration and integration. 27.03.2019 – ETP Slovakia meets with the Deputy Mayor of the City of Kosice. The reason for the meeting was introduction of City Integration Agenda. 27.03.2019 – ETP Slovakia organizes stakeholders meeting in Kosice and individual meetings with “PR partners”. 28.03.2019 - Centre for Peace – Osijek presents INTEGRA project to the law students at the Legal Clinic "OSIJEK PRO BONO". Legal clinic provides essential legal services to different marginalized groups, while at the same time offering students important clinical education experiences. The aim of the Legal Clinic is to systematically develop and improve the practical knowledge and skills of law students and to promote the role of the Faculty of Law in Osijek as socially responsible institutions particularly interested in promoting equality of all persons and effective realization of rights and legal protection for all persons irrespective of their material status. Altogether they discussed about establishing temporary legal advice office for TCN-s.
28.3.2019 – ETP Slovakia publishes officially press release about the cooperation with the city of Kosice and ETP in the framework of INTEGRA project promoting City Integration Labs and starts a joint communication campaign. 29.03.2019 – Centre for Peace – Osijek publishes interesting stories about famous immigrants as a reminder of their contributions to their new countries; like Steve Jobs, Arnold Schwarzenegger. The event includes production of creative viral materials.